We support cycling a lot around here, since it’s both one of the greenest things you can do (in place of driving) and it’s a lot of fun. But while we’ve written posts on 5 reasons to bike commute, 5 hidden benefits of bike commuting, various bike events, and some super cool bikes, sometimes we skim over that fun part. I guess it’s sort of implied. But the story I’m about to tell you a little about brought that key benefit to the forefront of my mind recently. 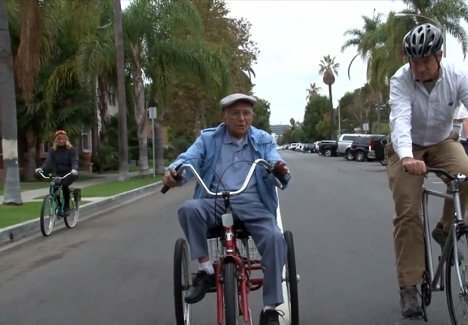 A certain 103-year-old man — Octavio Orduño of Long Beach, California — may be the oldest bicyclist in the world. 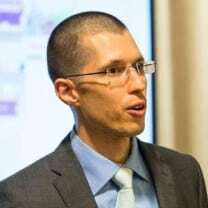 While Octavio, a former aerospace mechanic, has had his share of crashes (especially as he has gotten a bit older), he isn’t close to giving in to his wife and giving up bicycling. Octavio has a certain routine that he rides nearly every day — to the park, then to the beach, and then to the farmers market. And while he has given in and actually switched from a bicycle to a tricycle (a pretty sweet-lookin’ one, I might add), that hasn’t slowed him down too much. Octavio doesn’t go on his joy rides to help the environment, to save money, or even to improve his health — he rides his bicycle so much because he loves it, because it’s fun! “I can ride this bike all day long,” Octavio says. I’ll bet Octavio would love to have a go on the Bond Bike.